I have a new refrigerator. It is shiny and wide with French doors and sports a special kid-friendly snack drawer for easy to grab cheese sticks and Gogurts. It has a special setting for fruits and veggies and organized doors with shelves for varying sizes of bottles and jars. It even lets me know when it hasn’t been shut properly with a cool bell tone. But, as pretty as my aluminum-covered, jazzy new refrigerator is, it is defunct in one major area: It does not attract my magnets. My old refrigerator used to smile at me every time I went to open its doors. It was chock full of the usual refrigerator accessories: memo boards, magnets of all shapes, sizes, and colors holding up photos and phone numbers, grocery lists, and coupons. But it wasn’t just a convenient storage place. Our family always had the tradition of showcasing creative accomplishments on the fridge. This tradition was passed down to me from my mother and her mother. It had become our family’s ritual to review the gallery while sipping tea and nibbling on crunchy snacks. My mother’s fridge, on the other hand, has been a revolving gallery curated with love and an artistic hand. Her current fridge hosts a series of photographs of her grandchildren holding up photos of themselves as babies. With family holiday photos becoming more virtual, my mom was determined to have hard copy images of offspring. Other parts of the fridge exhibit personalized pet photos where her senior chocolate lab of 13 years, Philly, shows off the latest doggy fashions. And then there was my refrigerator. 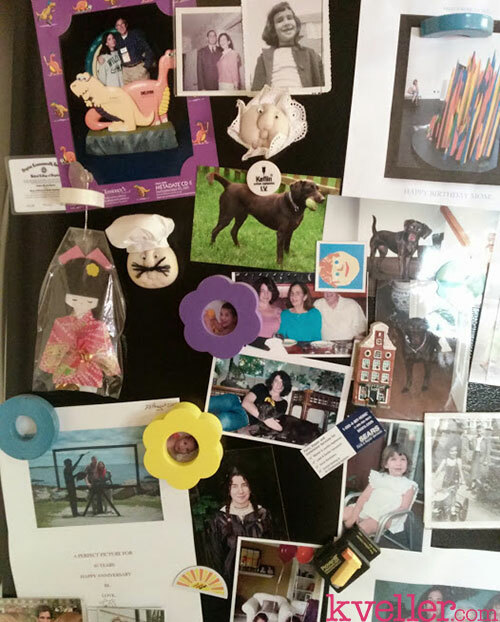 My refrigerator acted as a bulletin board as well as an interactive play area. The top part of the fridge was a hodge podge of photos, recipes, to do lists, a magnetic wipe board, and poetry magnets with silly sentences for creative fun. And the lower part of the fridge attracted my children through various stages of their growth. As toddlers they would move large alphabet letters into a battery-operated toy that would actually say the name of the letter. As they grew they formed small innocent, three letter words and as elementary-aged kids random, inappropriate four letter words may have appeared just to get a rise out of their parents. Our fridge has always been more than just an icebox to preserve our perishables. It has been the heart of our kitchen where memories were made, showcased, and treasured. What were these new refrigerator designers thinking? What is a kitchen refrigerator without silly doodles and daily to-do lists? Did the designers intend to disrupt kitchen harmony? Did they honestly feel that they could do away with this natural system for organized clutter? And didn’t they realize that the magnetized refrigerator was an added bonus that offered kitchen dwellers a place to gaze while they grazed? Back at home in my kitchen, my new refrigerator shimmers, reflecting icy shadows and fingerprints. 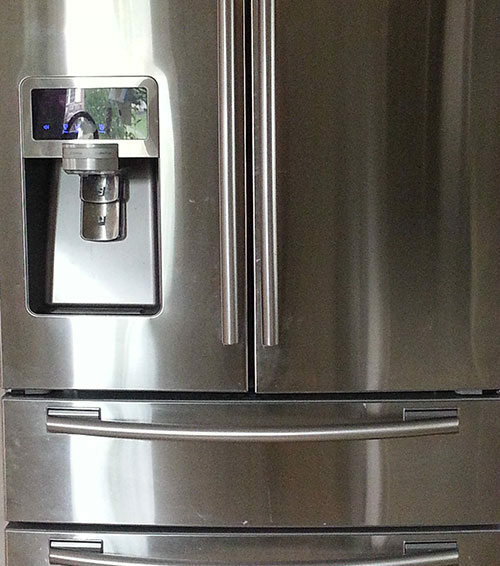 This new refrigerator is vain, thinking it is content with its bells and whistles and bold, shiny body. But, it doesn’t know what it is missing. No longer do the children sit in front of the refrigerator, playing with alphabet magnets, moving around the letters to make silly words. The children forget to pull their art work out of their backpacks since it will no longer be displayed where all can see it. Quizzes, tests, and accolades from the teacher with gold star stickers and “fantastic job” in bright red marker will no longer be honored for days at a time. My own personal notes, which I used to rely on for grocery lists, carpool, and doctor reminders are now electronically recorded into my phone. But, I miss the free spirit moments of slapping my reminders on the fridge with a silly kid magnet. Beautifully stated. Now I know i’m keeping my old refrigerator just so I can keep my selection of travel magnets in a place I can view daily.